…and from the same show on the Total Retaliation Invasion tour in Philadelphia Pennsylvania on 16th October, here’s the full Pro-Shot set from the headlining act Terror! 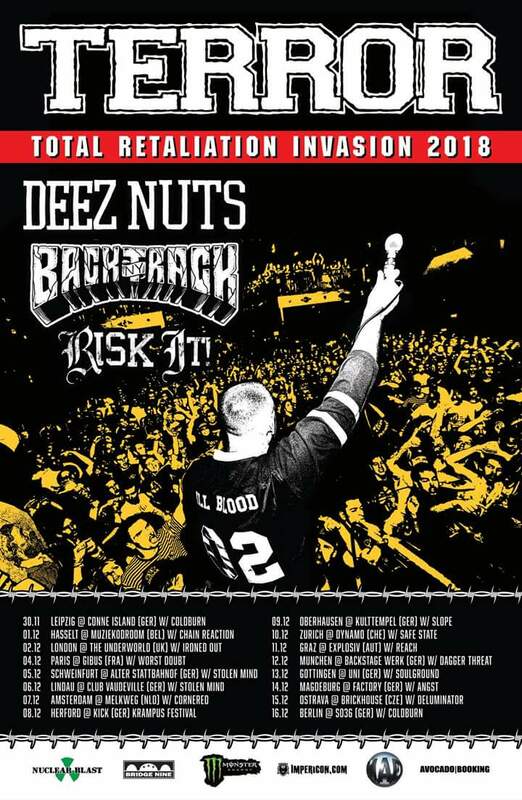 2nd & 3rd December at London’s Camden Underworld will see them joined by Ironed Out, Risk It, Backtrack & Deez Nuts in support of their seventh studio album “Total Retaliation” released in September. NEWS: Pro-Shot live video of Skindred performing “Rat Race” at Bloostock Open Air 2017!